Input text: There is a big gold cage. A leopard fits in the cage. The ground is gray and the sky is black. 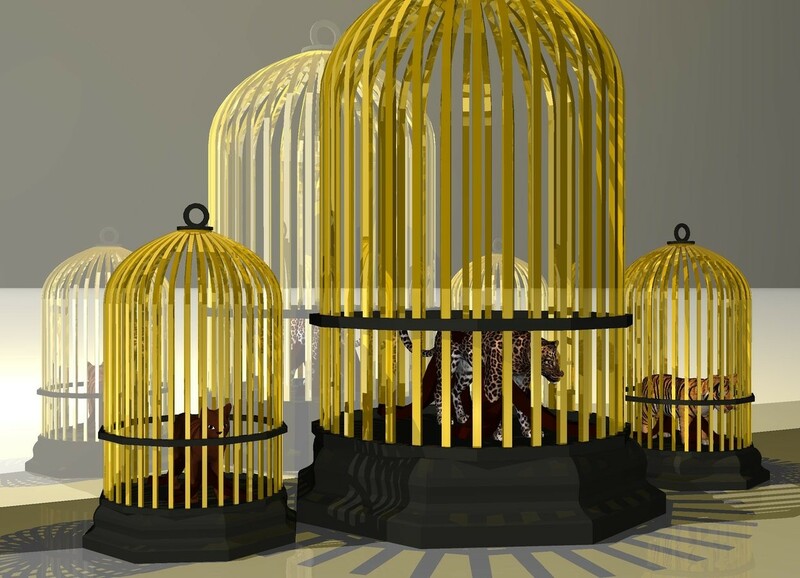 There is an gold cage to the right of the cage. A tiger fits in the cage. There is a gold cage to the left of the big cage. A cat fits in the cage. There is a gold light two feet above the big cage. There is a gray wall behind the cages. It is reflective.